The Day 29 exercise is to start a side hustle. A side hustle is exactly what it sounds like – a second job, a consulting gig, anything you can do outside of your 9 to 5 job to generate revenue, and something that should make you happy! This often turns into something full time, too – which really is a win/win. 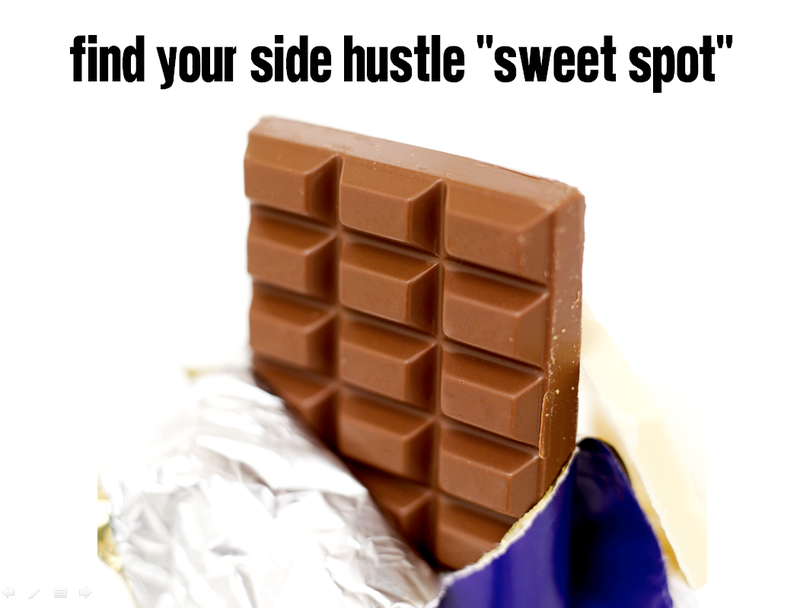 I have a few ideas for a good side hustle, but Rosetta’s video about finding your sweet spot for your side hustle helped me hone my ideas. She encouraged us to think about our passions, what we’re good at/have an expertise in, and a possible target market. Then, look at your lists and see what could go together. General themes of mine are personal and professional development and empowering others, and I think I’d like to focus on the Millenial target market. I’ve actually been brainstorming new ideas for my tag line, etc for my 1 year birthday for my blog (coming in March!) that include that. But another side hustle idea came to me out of left field, and probably is the one there’s the biggest demand for and could possibly generate the most revenue. I’d like to create something to connect with other young people who have my medical condition. Whether that means speaking for national associations, blogging, and even counseling services and groups, I see a big opportunity here – there aren’t really many resources for people my age, and it’s most commonly diagnosed in women between 20 and 30. Where is everyone?